Prevent elbow hyperextension or dislocations, both common elbow injuries sustained during football with a elbow brace. Our elbow braces are designed for football players, made with extension stops to prevent the elbow from overextending in the wrong direction. Utilize our elbow pad to absorb impact on falls and contact when tackling or incidental bumping. 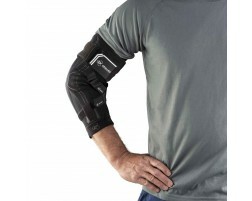 Our bracing experts recommend the following football elbow braces for stability and support.